Q. How can I access Market Share Reporter? Market Share Reporter presents comparative business statistics. Each entry features data and market description; a list of producers or products along with their respective market share; and cites original sources. 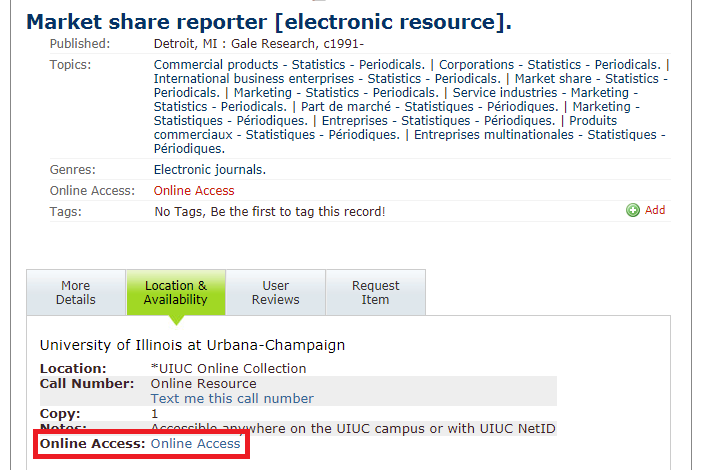 Click on Online Access, then, once in the database; select 'Market Share Reporter' from the list of directories. Then type in keywords to search directly in Market Share Reporter.